یاهو آی دی های بی استفاده و غیرفعال را ریست کرد و هم اکنون شما میتوانید تا 5 آی دی که همیشه بدنبال ثبت آن بوده اید را رزرو نمایید. برای این کار به لینک زیر مراجعه کرده و سپس آی دی های مورد نظر خودتون رو وارد و ایمیل خودتون رو برای اطلاع از زمان واگذاری تایپ و سابمیت Submit کنید. پس از دریافت ایمیل 48 ساعت فرصت خواهید داشت تا آی دی مورد نظرتون رو ثبت کنید. Now that all dormant IDs have been reset, Yahoo has launched a username wish list. The company had announced a few weeks back that they would be resetting all dormant accounts which haven’t been accessed in over a year. This was programmed for July 15. Now, Yahoo is opening up a wish list allowing users to pitch in a username they’d like to own before actually letting people get ahold of these names. By August 7, users can choose five moniker requests, in order or preference and if you’re first in line, you’ll get the ID by the middle of next month. Yahoo requires an email address of your own and they’ll send out a message to your inbox if you’re eligible for any of the IDs you set eyes on. The link needs to be clicked within 48 hours and the account will be yours. طی اعلام ماه گذشته ی یاهو ، فردا 15 جولای 2013 ، آی دی ها ( ایمیل آدرس هایی ) که بیش از یکسال بدون استفاده بوده اند و آنهایی که برای مدت زیادی استفاده نشده اند و احتمالا شما بدنبال ثبت آنان هستید را ریست ( برای ثبت آزاد ) خواهد کرد . البته پروسه ی آزادسازی جهت ثبت حدود چند هفته بطول خواهد انجامید و شما قادر خواهید بود آی دی های مورد نظرتون رو ظرف چند هفته ی آینده بدست آورید . بدیهی است پیشنهاد میشود در صورتیکه آی دی / ایمیل آدرسی دارید که مدت زیادی از آخرین لاگین شما به آن می گذرد و قصد نگهداری آن را دارید ، هم اکنون یکبار لاگین شوید و آن را حفظ کنید. 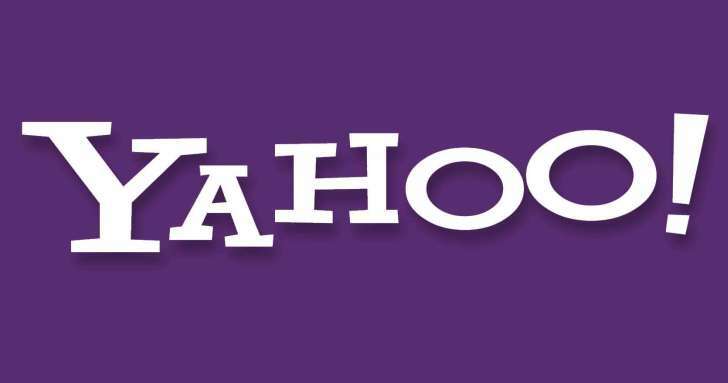 Yahoo is resetting all inactive IDs Monday, July 15, so there’s still time for you to claim back those old email addresses you want to use. According to an announcement made a month ago, Yahoo wants to free up simple IDs that everyone has wanted for a long time and that have been blocked by inactive users. Starting July 15, all those accounts that haven’t been accessed for at least 12 months will be reset. Those who are looking for a certain ID can stake a claim for them and it will be another few weeks until they are given access to the address. Some security concerns have appeared following the announcement, especially from people who had connections made between various email accounts. However, Yahoo says that only 7 percent of those IDS are tied to actual Yahoo email accounts and some safeguards will be put in place ahead of transfer. The company has already mentioned that they will be coordinating with major web companies, including Google and Amazon to minimize the risk of identity theft. So, if there’s an old email address that you still want to keep and use, you better try to remember the password and login to the account.